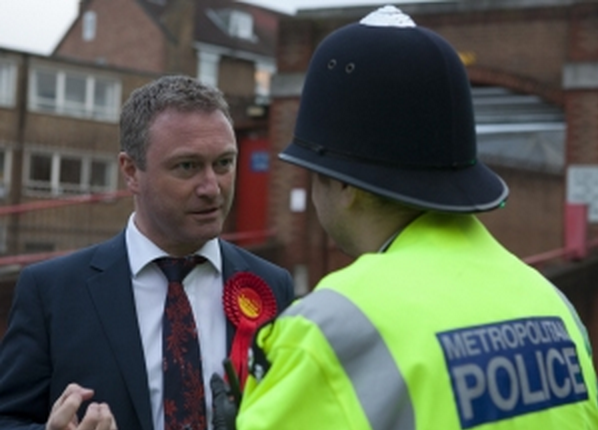 Labour’s Steve Reed has demanded the Home Secretary steps in to boost Croydon’s resources in the fight against knife crime. Along with Sarah Jones MP and Cllr Tony Newman, Steve has written to Amber Rudd to request urgent intervention to keep Croydon safe from knife crime. The current level of police officers in Croydon is insufficient – and knife crime is escalating. We are extremely concerned about the dramatic escalation of knife crime in Croydon. Over the past twelve months, incidents of knife crime have gone up by 94% and are now the second highest level in London. The borough has also suffered 13 homicides since January 2016, again the second highest level in London. The inadequate level of resources available have left the police and other public authorities with insufficient resources to tackle this alarming situation. The parents of an 18-year-old boy stabbed in Norbury Park two weeks ago say they were told police could not visit the family at home because of a shortage of officers, and were further told that full forensic tests on the weapon used could not be carried out because of a lack of funding. Residents in Strathyre Avenue phoned 999 when a large group of gang members used cars to block the road then conducted a street fight. They were told there were no officers available to attend and residents should stay indoors with the windows and doors closed while the gang fight raged on the street outside. This occurred just days after a mass gang fight in nearby Thornton Heath Rec involving knives and machetes. This week, there has been a further knife attack on a young man in Croydon town centre. You will appreciate the growing level of alarm residents now feel, and we share their insistence that action must be taken to keep people safe. The current level of resources including police officers in Croydon is insufficient and we request your urgent intervention to ensure the police are properly equipped to keep the streets of Croydon safe from knife crime.